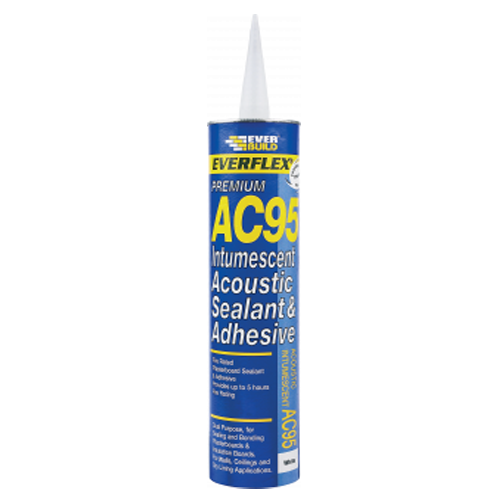 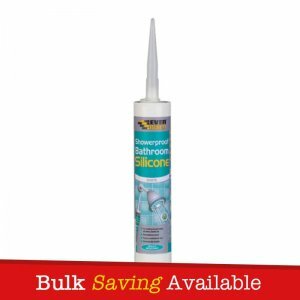 Everbuild Everflex AC95 Acoustic Sealant & Adhesive is an intumescent acrylic sealant and adhesive specifically formulated for fire rated sealing and bonding applications on plasterboard and other kraft lined insulation boards. 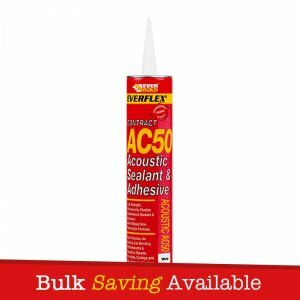 Ac95 provides up to 5 hours fire resistance, whilst also being acoustic rated to BS EN ISO 140/3. 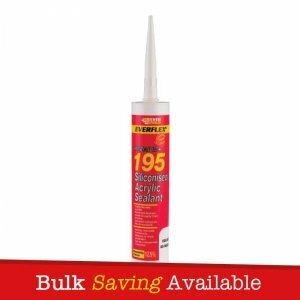 Tested for air permeability to EN13141-1 Ventilation for buildings. 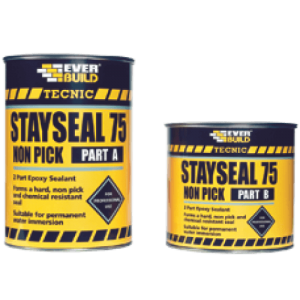 Performance testing for components/products for residential ventilation. 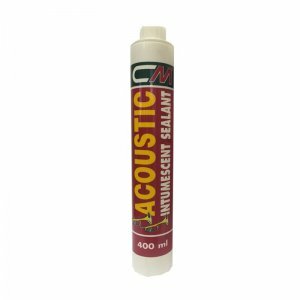 – To form an acoustic and intumescent barrier by sealing gaps between plasterboard walls, floors and ceilings and dry lining applications. 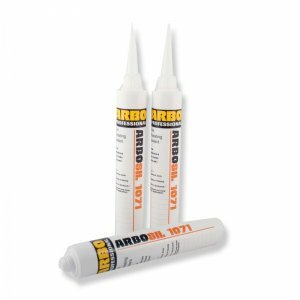 – As an adhesive to bond plasterboard to plasterboard and to bond plasterboard to wood and metal studding and direct to block work. 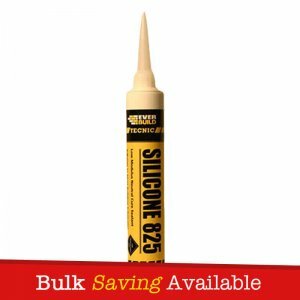 – Forms a fire rated acoustic barrier – up to 5 hour fire rating – 25% greater than conventional/competitive fire rated sealants.